Mumbai: Public sector lender IDBI Bank plans to raise around $200 million from the Switzerland market under its medium-term foreign debt raising programme. “We have a close eye on the Swiss market. Recently, the Korean Exim Bank had raised money from there. As the opportunity comes, we will look at it," IDBI Bank executive director Melwyn Rego told PTI. Medium-term-note (MTN) is a debt instrument through which a corporate house or bank raises capital at cheaper rates from overseas market. Usually, there is a fixed coupon or interest rate that is paid by the issuer to the subscriber of the issue on maturity. Earlier, IDBI Bank had hired investment managers like BNP Paribas, Credit Suisse Group and UBS for raising capital through Swiss franc-denominated bond sale. IDBI Bank, which has a $1.5 billion MTN programme, has already raised around $400 million in the first part of this calendar year. Domestic banks are increasingly looking at Switzerland to raise capital as part of their market diversification drive. In 2011 so far, while Union Bank of India sold 160 million Swiss franc (CHF) (around $185 million) worth of 4.5-year bonds in January, State Bank of India had raised CHF 325 million (around $370 million). Also, the Exim Bank raised CHF 175 million (around $200 million) from the Swiss market in the recent past. 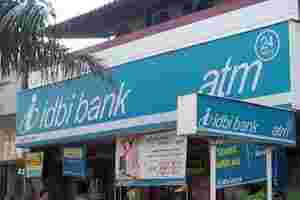 IDBI Bank posted a 20% rise in net profit to Rs516 crore in the second quarter ended 30 September 2011 as compared to Rs429.10 crore a year ago, while total income grew 24.10% at Rs6,291.42 crore.